This little fella – committed to his task – has been a popular print at conventions. 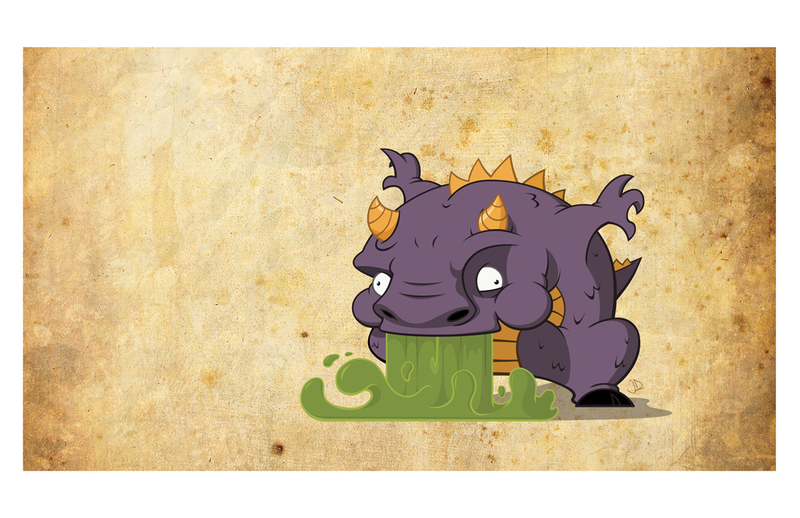 By request, you can now purchase the print online and have a little dragon puking on your wall for all to enjoy. The print is available in two sizes, 9 x 12 and 11 x 17 (pictured). You can order the Splort Dragon Print from my store page, here. With Splort hurling all over your wall, you’ll have to invite people over to show him off. Or, take the fight to them! Splort has a T-shirt too! The T-shirt is available in three colors (white/ash/sand) and in a huge range of sizes for both men and women through my partners at SlashLoot.com. 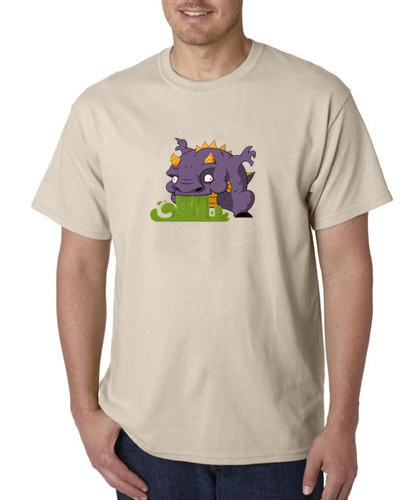 To order your T-shirt check out my store page here, then head over to SlashLoot and make your purchase.